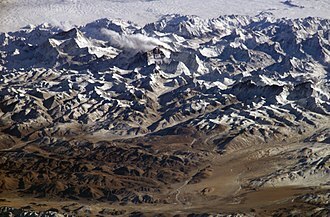 This article is about the mountain range. For the mountain, see Mount Bogong. For other uses, see Bogong (disambiguation). The Bogong High Plains /ˈboʊɡɒŋ/, part of the Victorian Alps of the Great Dividing Range, are a section of plains located in the Alpine National Park in the Australian state of Victoria and are situated south of Mount Bogong. In winter this area is one of the largest snow-covered areas in Australia and can be easily accessed from the Hotham Alpine Resort and Falls Creek ski resort. The area is very popular for both summer and winter time activities. 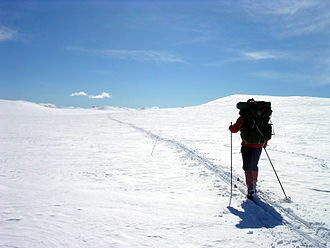 Ski touring and all types of cross-country skiing are possible through most winter months. 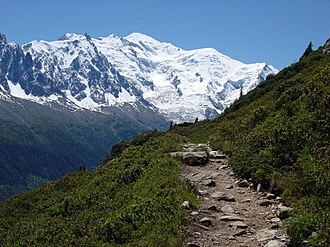 A trail called Australian Alps Walking Track is popular for hiking in summer and cross-country skiing in winter. Mountain biking and bushwalking are common in summer. Local towns and villages provide the best possibility for exploring the areas, including Mount Beauty and Harrietville. The traditional custodians of the land surrounding the Bogong High Plains are the indigenous Australian Bidhawal, Dhudhuroa, Gunai–Kurnai and Nindi–Ngudjam Ngarigu Monero peoples. Europeans first explored and settled in the area as graziers sought pastoral land mainly for cattle. The biggest early development for the area was the Kiewa Hydroelectric Scheme which began construction in the 1940s. Two dams were constructed, Pretty Valley Pondage and Rocky Valley Dam, and a series of aqueducts built to capture streams and bring their flows across into the catchments of the Kiewa Scheme. McKay Creek and West Kiewa Power Stations supply most of the electricity generated. Since completion of the Scheme, the area has become much more based around tourism, particularly skiing. Systematic scientific research began in 1947, when Miss Maisie Fawcett [later Mrs S.G.M. Carr] set up two grazing exclosures to directly investigate the impacts of animal grazing on Australian alpine and sub-alpine vegetation. These original plots have been monitored ever since, and represent the longest continuous series of ecological data of any site in Australia. All grazing was finally excluded from the area by the Victorian government in 2005, in part because of the compelling evidence provided by this particular experiment. The Bogong High Plains continues to have an important place in scientific research. In summer, large numbers of scientists conduct research in the area, including studies of hydrology, vegetation change, fire response, weed invasions, occurrence of native animals (mountain pygmy possum, alpine skink) and introduced species (such as hares, horses and sambar deer). The area is also home to a component of the International Tundra Experiment (ITEX), which investigates aspects of global climate change. 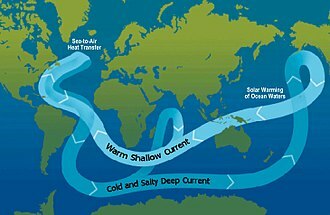 It is trying to predict the future impacts of temperature increases. This area is prone to bushfires because of the large amount of native forest. The 2003 Eastern Victorian alpine bushfires devastated much of the areas of forest. Many well-known huts were destroyed. More recently the area was again threatened during the 2006-07 Australian bushfire season but due to good luck regarding the weather, damage appears to be minimal in comparison. Alpine huts in the area provide accommodation for people out in the winter ski touring and those interested in hiking or other activities in the summertime. There are tens of huts in this area, each different and equipped for different purposes. They were first built by European pastoralists moving in from NSW in the 1830s. They are no longer used by pastoralists. Many are run by ski clubs but some are not regularly used or maintained at all. This is the oldest on the high plains. Originally built in 1889 like most of the huts has been extended since. It has no modern facilities and so is not used for accommodation. It measures 4.5 metres (15 ft) by 3.7 metres (12 ft). This was the first lodge developed in the area, before the creation of the ski resorts in Australia. It was started in 1938 by Rover Scouts from Victoria. It has the best facilities of any hut or lodge outside of a resort in Australia, with full comforts and amenities for 35 people. 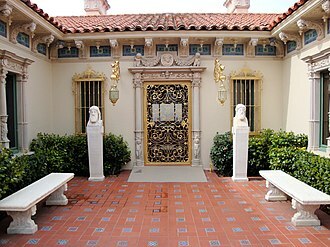 It has been expanded and refurbished since it was built. It uses solar power, gas, wood heating and runs its own electricity generators. It has a full kitchen, showers and runs 13 winter weeks for Rovers and Venturer Scouts. This hut was built by the Ski Club of Victoria in 1929. This was one of the older huts. 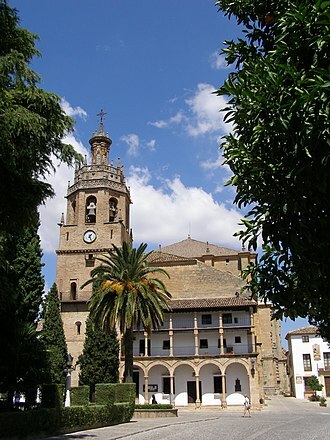 It was accidentally burnt down by a school group in 1991 and rebuilt in 1993. This was burnt down in the bushfire of 2003 and rebuilt in 2008. Affectionately known as Wilky, this hut was built by the State Electricity Commission as a hydrological survey hut prior to the construction of the Kiewa Hydroelectric Scheme. The hut was later sold to a ski club but this sale never included title to the land on which it sat. The hut was purchased in 1962 by members of the Melbourne Bushwalkers who then donated it to the club. The hut was renovated and maintained by the Melbourne Bushwalkers and used throughout the winter as a base for cross-country skiing. It was well-used throughout the year for research and outdoor activities by members and by many other groups. 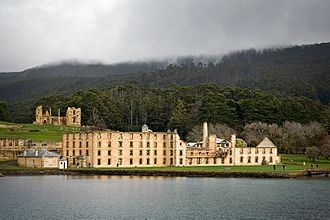 It survived the 2003 bushfires but burnt down one year later (January 2004) in a cooking accident, while being used by non-members. The woodshed still remains. The National Parks and Wildlife Service which administers the land has refused permission to rebuild. This hut burnt down in the bushfires of 2006. This hut on Mount Bogong was built in 1938 as a memorial to Cleve Cole who died on a ski trip on Mount Bogong. Technically, Mount Bogong is not part of the Bogong High Plains. Also on Mount Bogong are Michell Hut, on Eskdale Spur, which was rebuilt after the 2003 fires and Bivouac Hut on the Staircase Spur. Other huts in the area include Tawonga Huts, Young's Hut, Ryder's Huts, Cope Saddle Hut, Pretty Valley Hut, Edmondson Hut, Johnston's Hut, Buckety Plains Hut, Faithful's Hut, and Langford Gap Hut. The Bogong High Plains contain a mixture of various types of vegetation. About 50% of the High Plains are heathlands, which cover some of the steeper and more wind protected areas in the high plains. 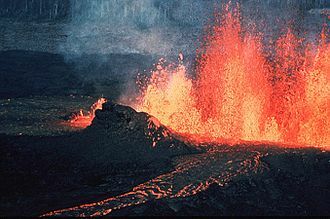 The soils are typically shallow and rocky. Approximately 25% of the High Plains are grasslands, which occur in more exposed areas, on gentle slopes are typically more resistant to wind and frosts. Some of the best soils occur in wetlands, which cover about 10% of the high plains. 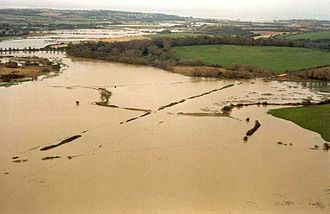 These areas are defined as places where there is stationary water for at least one month per year. The presence of water typically leads to highly organic soils, from the decay of vegetable matter, and very little mineral matter. Snow patch herb fields occur in places where snow remains for a large portion of the summer and are very rare. Mount Bogong, the highest mountain in Victoria, is just north of the High Plains. Technically it is not part of the high plains because it is separated from them by the Big River. There are several huts are on the mountain, the earliest of which was built following the death of a skier in 1936. Mount Feathertop is a much more foreboding summit in the west of the Bogong High Plains. It is a popular bushwalking destination due to its proximity to Mount Hotham but can also be approached from Harrietville. The Bogong High Plains Road runs from Mt Beauty, up to the ski resort of Falls Creek, up to an elevation of around 1720m, before steeply descending through Trapyard Gap at gradients frequently exceeding 9%. The road was fully sealed in 2009, immediately gaining the interest of road cyclists as it allows a complete circuit through Omeo, Mt Hotham, Harrietville and back to Mt Beauty. It is now used in the Peaks Challenge Falls Creek and Audax Alpine Classic ACE annual cycling events. Rocky Valley Storage dam just southeast of Falls Creek. 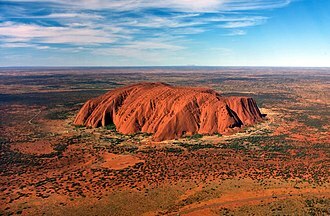 ^ a b "Mount Nelse West, Australia". Peakbagger.com. ^ "Victoria's seven alpine resorts". www.visitvictoria.com. Archived from the original on 9 September 2007. Retrieved 5 September 2007. ^ "Alpine National Park". Parks Victoria. Archived from the original on 6 February 2007. Retrieved 21 January 2007. ^ "History". Australian Alps National Parks. Australian Alps Liaison Committee. Retrieved 13 July 2014. 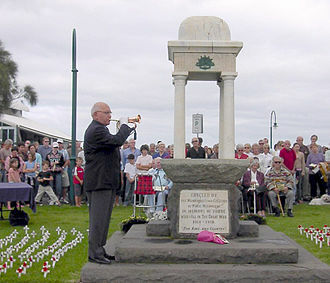 ^ Rintoul, Stuart (12 December 2008). "Dream time inspires mountainous change". The Australian. Retrieved 13 July 2014. ^ a b "The Cow Paddock - a report to Parks Victoria". Retrieved 5 June 2007. ^ "Alpine plants put to global warming test". The Age. 14 June 2004. Retrieved 12 September 2007. ^ "Wallace's Hut". Kosciusko Huts Association. Archived from the original on 29 September 2003. Retrieved 21 January 2007. ^ "Bogong Rover Chalet". Retrieved 28 March 2012. 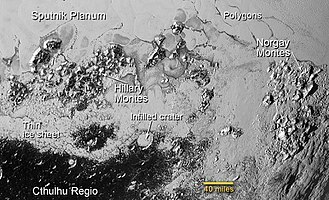 ^ "Victoria Alps (sic)". Peakbagger.com. Retrieved 3 September 2007. ^ "History". The Mount Bogong Club. July 2007. Archived from the original on 2000-08-19. Retrieved 22 August 2007. ^ "Mt Feathertop". Remote Tech's Bushwalking site. Archived from the original on 23 April 2006. Retrieved 22 August 2007. ^ "Falls Creek (Omeo side) | The Climbing Cyclist". theclimbingcyclist.com. Retrieved 2016-01-03. Wikimedia Commons has media related to Bogong High Plains. 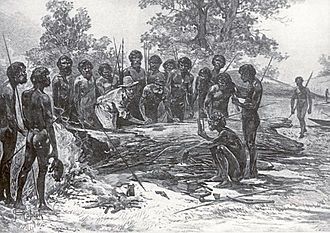 The Bidhawal were an Australian Aboriginal tribe of Gippsland, Victoria. According to A. W. Howitt, the Bidhawal were composed of refugees from tribal justice or individual vengeance from neighbouring tribes, the Bidhawal spoke a dialect of the Kurnai language, which was spoken by the Kurnai tribes to the west. 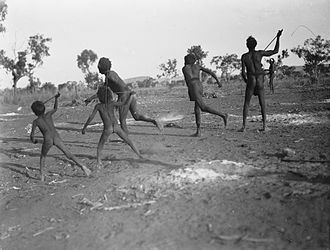 However, the Bidhawal dialect had borrowed a number of words referring to mammals and celestial bodies from Ngarigo, as well as a number of words from Thawa. The Bidhawal called their own dialect mŭk-dhang, and that of the neighbouring Kurnai gūnggala-dhang, the Kurnai, called their own dialect mŭk-dhang, and that of the Bidhawal kwai-dhang. 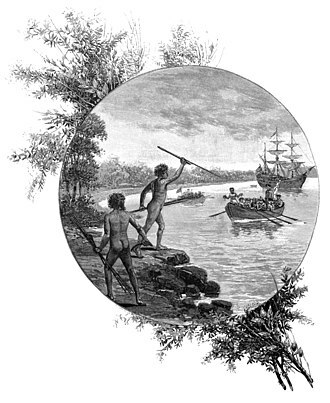 Dixon, R. M. W. Australian Languages, Their Nature, on the Migrations of the Kurnai Ancestors. The Journal of the Anthropological Institute of Great Britain and Ireland, the Journal of the Anthropological Institute of Great Britain and Ireland, Vol.15. 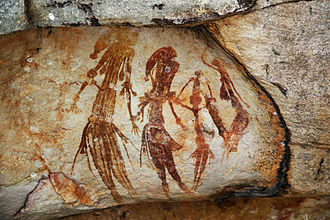 The Native Tribes of South-East Australia, language of the Birdhawal Tribe, in Gippsland, Victoria. Maisie Carr was an innovative Australian ecologist and botanist who contributed much to our understanding of the uniqueness of Australian plants and their environmental systems. Maisie Carr was born Stella Grace Maisie Fawcett in Footscray, neither of her parents had a science background but her love of plants was likely fostered by visits to nearby salt-marshes, her grandmothers garden and in nature study classes. Maisie attended Footscrays Hyde Street State School where she was first in her class and Dux in 1924 and attended Melbourne High School. Her diligence was evident at an age, in 1920 she won £2 in a competition for finding the largest number of Australian postal towns within the letters of AUSTRALBA TOOTH PASTE. After graduation she returned to her old school as a junior teacher while at night studying zoology and geology at Austral Coaching College. Maisie attended University of Melbourne being awarded B. Sc.1935, maisies academic abilities won her a number of scholarships. 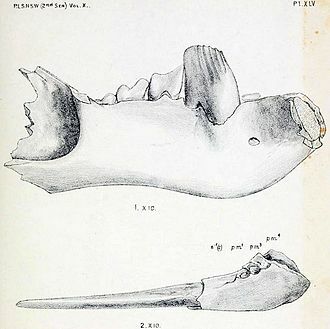 In March 1935, she was awarded the Howitt natural history scholarship, in December 1936, Maisie was awarded the Wyselaskie Scholarship, established by John Dickson Wyselaskie in 1883. In April 1937, Maisie was awarded the Caroline Kay scholarship in Botany, although her initial research activities focused on coral fungi, she studied fungal and nematode diseases of plants as well. As a student, attending field-trips with the McCoy Society for Field Investigation, in 1936, Maisie participated in one of the societys expeditions to Sir Joseph Banks Islands in the Spencer Gulf of South Australia to undertake a full scientific survey of the islands. Miss Marshall was the mistress of method of English in the School of Education at the University of Melbourne until her death in 1938, miss Marshalls friends raised £500 to fund the scholarship. Permits to graze these high plains commenced in the late 1880s, additional motivation for the studies was prompted by the soil siltation threat to the soon to be constructed Kiewa Hydroelectric Scheme. Maisie was the first research officer of the Soil Conservation Board and was responsible for establishing exclusion fencing on reference plots in Bogong High Plains, having excluded grazing from select high-plains plots and team members recorded changes in regrowth vegetation over decades. Ski touring is a form of backcountry skiing where both uphill and downhill travel are possible without needing to remove skis. Typically touring is done off-piste and outside of ski resorts, ski touring cuts across both Nordic and Alpine forms and embraces such sub-disciplines as Telemark and randonnée. A defining characteristic is the skiers heel being free to allow a gliding motion while traversing and ascending terrain which may range from perfectly flat to extremely steep. Ski touring has been adopted by skiers seeking new snow, by alpinists, Touring requires independent navigation skills and may involve route finding through potential avalanche terrain. Ski touring has parallels with hiking and wilderness backpacking, ski mountaineering is a form of ski touring which variously combines the sports of Telemark and backcountry skiing with that of mountaineering. The history of ski touring is unwritten and his deliveries began in 1855 and continued for at least 20 years. Thompsons route of 90 miles took 3 days in and 48 hours back out with a pack that eventually exceeded 100 pounds of mail. Cecil Slingsby, one of the earliest European practitioners, who crossed the 1,550 m high Keiser Pass, Norway, in particular it requires the knowledge to assess and test snow conditions to minimise the risk of avalanche. As the slope angles increase, the climbing ski-tourer will make switchbacks, using kick turns to change direction, skin tracks can be seen as zig-zags heading up a snowy mountain. Ski-tourers try to maintain the up-tracks in avalanche-safe zones as they head up the mountain, setting a proper and safe skin track requires a great deal of skill and avalanche knowledge as the tourer spends most of their time climbing. Traveling quickly up potential avalanche terrain is important for safety as well, thus physical fitness is a crucial element of safe mountain travel. Nordic ski touring is skiing with bindings that leave the heels free all the time, Nordic skiers do not have to change back and forth between uphill and downhill modes, which can be advantageous in rolling terrain. Backcountry Nordic, heavier than a traditional Nordic setup, but not as big, Telemark, at the heavier end of the Nordic skiing equipment spectrum, for steep backcountry terrain or ski-area use. The Australian Alps Walking Track is a long distance walking trail through the alpine areas of Victoria, New South Wales and ACT. It is 655 km long, starting at Walhalla and running through to Tharwa, the track weaves mainly through Australian national parks, such as Alpine National Park and Kosciuszko National Park, though it is not exclusively restricted to national parks. It ascends many peaks including Mount Kosciuszko, Mount Bogong, and Bimberi Peak, the AAWT crosses exposed high plains including the Victorian Bogong High Plains and the Main Range in NSW. To walk the trail can take between 5 and 8 weeks. It has been signposted for part of its length in a tri-state agreement, most parts of the Track require hikers to have highly developed navigation skills, particularly in wilderness areas. The Australian Alps Walking Track is an extension of the older Victorian Alpine Walking Track, the Victorian track was extended after many years of promotion by the Federation of Victorian Walking Clubs and various government departments. The Alpine National Park is a national park located in the Central Highlands and Alpine regions of Victoria, Australia. The 646, 000-hectare national park is located northeast of Melbourne, the parks north-eastern boundary is along the border with New South Wales, where it abuts the Kosciuszko National Park. On 7 November 2008 the Alpine National Park was added to the Australian National Heritage List as one of eleven areas constituting the Australian Alps National Parks and Reserves. Ecologically, alpine refers to areas where the environment is such that trees are unable to grow and vegetation is restricted to dwarfed shrubs, alpine grasses, in Victoria this is roughly those areas above 1,800 metres AHD . Below this is the zone, an area of open forest dominated by snow-gums. This zone includes basins where cold air settles, restricting tree growth, in wetter areas these basins form Sphagnum bogs, which play an important role in the water cycle. Water enters the alps as snow or rain and frost hollows collect the water as snow melt and run off. A key element of these bogs is Sphagnum Moss, which acts as a sponge and these bogs release the water over summer, ensuring creeks flow throughout most of the year maintaining the alps’ creeks and streams. The greatest risk to this system is damage to the Sphagnum bogs, fire can remove riparian vegetation, increasing run-off and erosion. Below the sub-alpine zone is the montane zone, on the alps southern fall, this exists as wet forest and rainforest, a consequence of the higher rainfall on this side of the park. Tall forests of Alpine Ash and Mountain Ash grow in deep soils while species like Mountain Gum are found in soils or drier sites. The understory is usually shrubby, with a dense ground-layer of grasses, ferns, rainforests are areas where the canopy cover is high, greater than 70%. The tree species are specialists, such as Myrtle Beech in Cool Temperate Rainforest. Rainforest species are tolerant and able to regenerate below an undisturbed canopy or in small gaps created when a tree falls. Victoria is a state in southeast Australia. Victoria is Australias most densely populated state and its second-most populous state overall, most of its population is concentrated in the area surrounding Port Phillip Bay, which includes the metropolitan area of its state capital and largest city, Australias second-largest city. 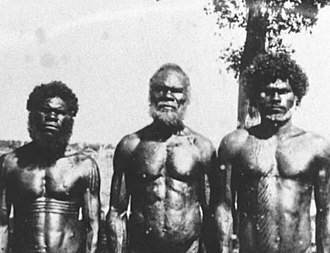 Prior to British European settlement, the area now constituting Victoria was inhabited by a number of Aboriginal peoples. With Great Britain having claimed the entire Australian continent east of the 135th meridian east in 1788, Victoria was included in the wider colony of New South Wales. 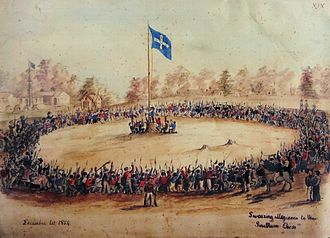 The first settlement in the area occurred in 1803 at Sullivan Bay, and much of what is now Victoria was included in the Port Phillip District in 1836, Victoria was officially created as a separate colony in 1851, and achieved self-government in 1855. Politically, Victoria has 37 seats in the Australian House of Representatives and 12 seats in the Australian Senate, at state level, the Parliament of Victoria consists of the Legislative Assembly and the Legislative Council. Victoria is currently governed by the Labor Party, with Daniel Andrews the current Premier, the personal representative of the Queen of Australia in the state is the Governor of Victoria, currently Linda Dessau. Local government is concentrated in 79 municipal districts, including 33 cities, although a number of unincorporated areas still exist, Victorias total gross state product is ranked second in Australia, although Victoria is ranked fourth in terms of GSP per capita because of its limited mining activity. Culturally, Melbourne is home to a number of museums, art galleries and theatres and is described as the sporting capital of Australia. The Melbourne Cricket Ground is the largest stadium in Australia, and the host of the 1956 Summer Olympics, Victoria has eight public universities, with the oldest, the University of Melbourne, having been founded in 1853. Victoria, like Queensland, was named after Queen Victoria, who had been on the British throne for 14 years when the colony was established in 1851. Thermal energy storage. 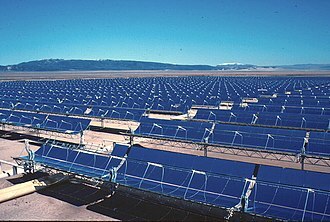 The Andasol CSP plant uses tanks of molten salt to store solar energy. Part of the Senftenberg Solarpark, a solar photovoltaic power plant located on former open-pit mining areas close to the city of Senftenberg, in Eastern Germany. The 78 MW Phase 1 of the plant was completed within three months. The city of Melbourne swathed in smoke during the 2006–2007 bushfire season. The Bolte Bridge surrounded by a thick sky during the bushfires. This photograph was taken in late afternoon. The ski fields of Mount Hotham from Mount Higginbotham (left) across to Mount Loch (right) and beyond. Mount Hotham's Village Chair in the summer. A sign marking the trail on the Bogong High Plains.